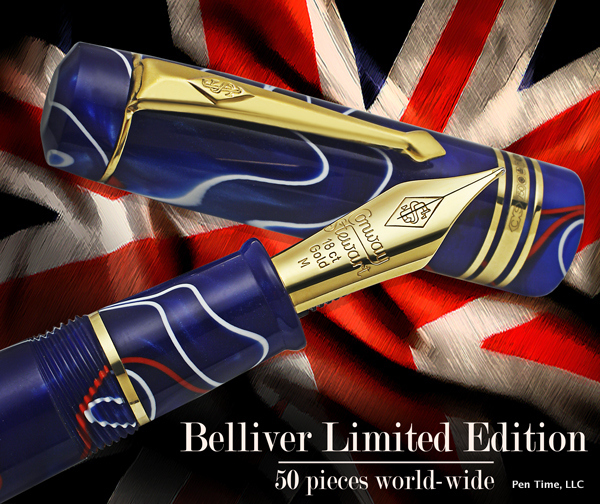 We have only one more of this limited edition in stock. 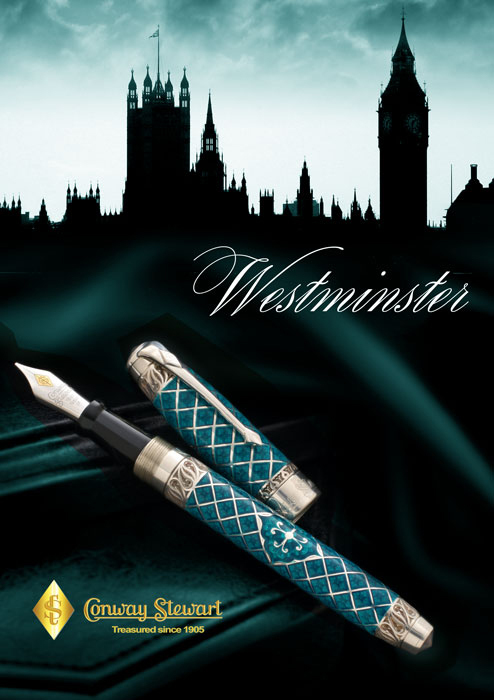 Below is the exact pen you will receive, it is number 453/888. 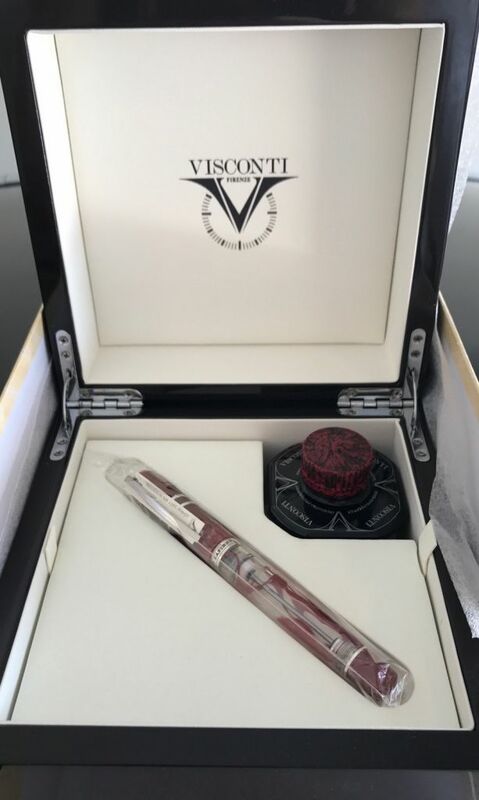 This pen comes with a large wood box and a bottle of Visconti Bordeaux Ink. 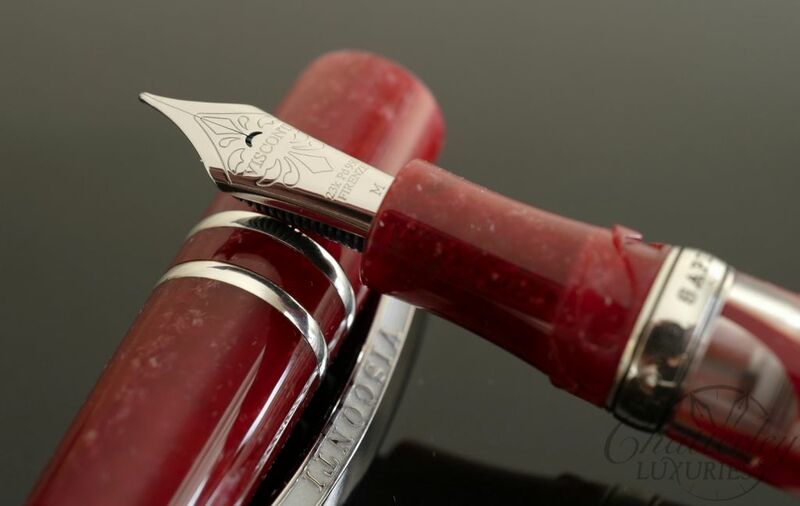 The Chiantishire is an homage to the Tuscan hills, where the famous Chianti wine is produced. The cap is made from a solid block of specially made resin made to fit the high quality standards of Visconti both in strength and color. 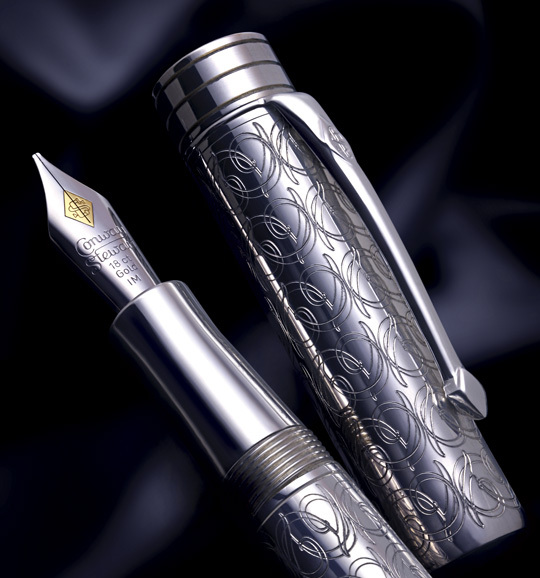 The heart of this collection is seen in the body. 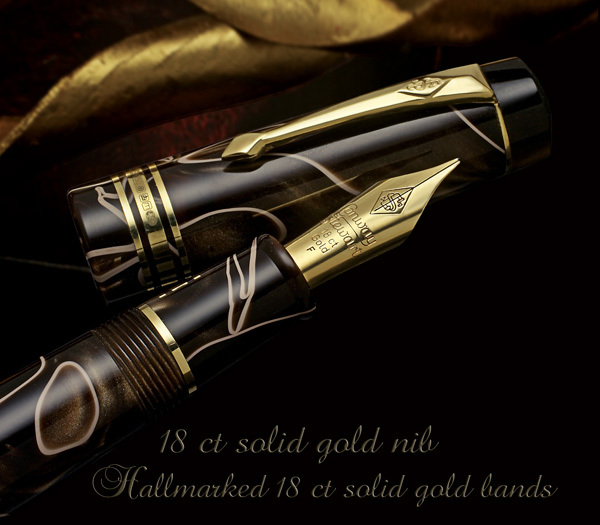 Visconti uses a patented material: a mixture of celluloid and polycarbonate mixed in a secret formula. 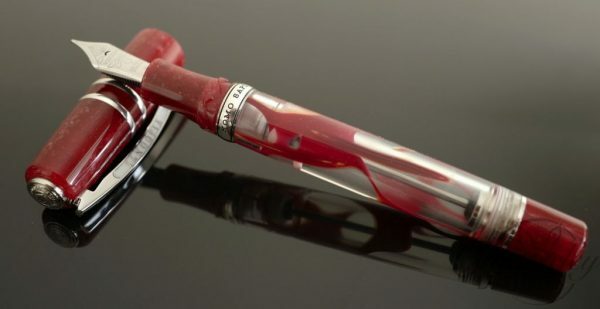 This material is injected into the transparent body, adding red and gold swirls, unique to each individual pen, that give the user the sensation of having a real glass of Chianti in their hands. 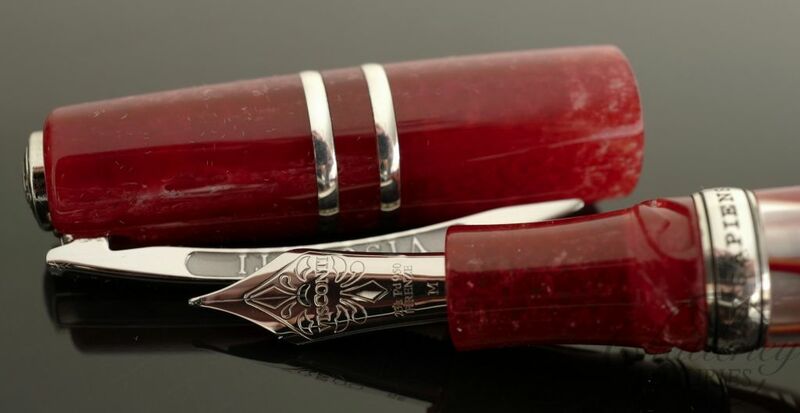 The Chiantishire collection is “millesimè” like the most important wines and is limited to 888 pieces worldwide.